Room four is feels like a secret unfolding, as you enter the room via a private hall between the double arches of the grand staircase landing. Facing east and south, this room affords the best views, and an oversized rear window makes the most of the vantage point. 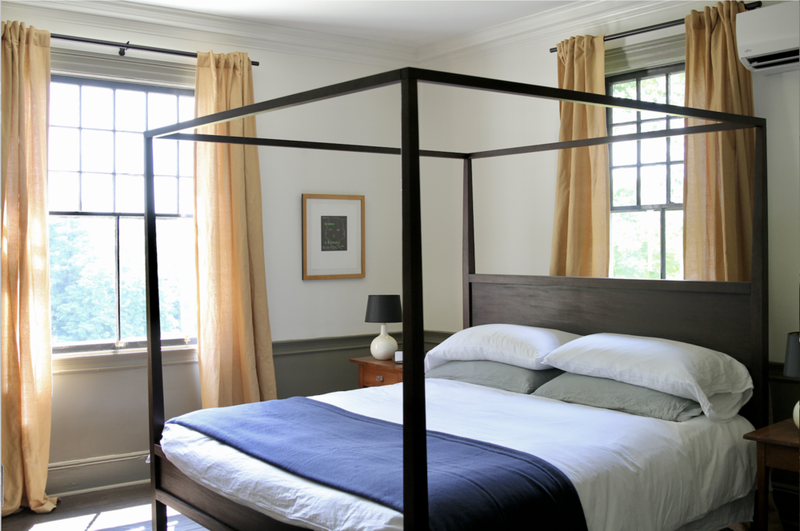 A king sized four poster bed dressed in Matteo Linens, down comforter, and blanket from Faribault Woolen Mill. A masculine color palette and an eclectic mix of antique, mid century, and custom furnishings give this room a subdued elegance. 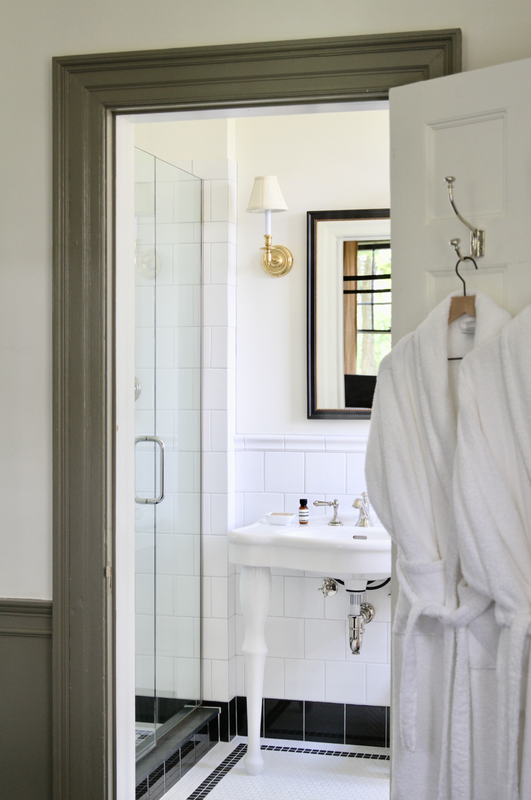 a light filled bathroom features a walk in shower, porcelain console washstand, and radiant heated mosaic tile floor. Toiletries are Aesop. 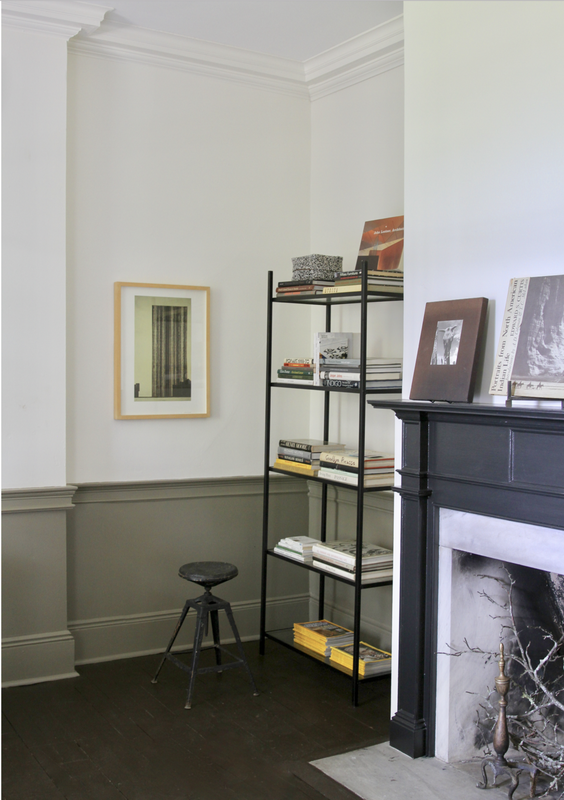 Throughout the house, you'll find a seductive collection of books. We invite you to peruse them at your leisure-- either in your room, or in one of several public spaces. The view east, from the rear window of Room Four.